On a hot July afternoon, a worker at an Antietam Creek construction site drives the blade of his backhoe into a layer of soil - and strikes a 5,000-year-old human skull. The discovery draws plenty of attention and a lot of controversy. It also changes the life of one woman in ways she never expected. When Dora Conroy, a Philadelphia antiques dealer, purchases a curious selection of auction items - objects she judges to be humorous novelties, she unknowingly becomes the deadly focus of an international smuggler. This deliciously scandalous novel tells us the secrets of the reigning queens of television talk shows, Deanna Reynolds and Angela Perkins. Their high-staked rivalry, fought with public smiles and private betrayals, is more than a ratings competition. It becomes an off-screen war when Deanna replaces Angela both on the air and behind the scenes with Angela's former lover after Angela moves to the big time in New York. A summer at his grandparents' South Dakota ranch is not 11-year-old Cooper Sullivan's idea of a good time. But things are a bit more bearable now that he's discovered the neighbor girl, Lil Chance, and her homemade batting cage. Even horseback riding isn't as awful as Coop thought it would be. Each year, with Coop's annual summer visit, their friendship deepens from innocent games to stolen kisses, but there is one shared experience that will forever haunt them: the terrifying discovery of a hiker's body. The blaze that night at her family's pizzeria changed young Reena Hale's life in more ways than one. Neighbors and relatives would pull together to help the Hales get through the crisis and rebuild. The Baltimore authorities would arrest the arsonist responsible. But as Reena gazed into the fire, beheld its brutal beauty and destructive power, her destiny began to take shape. Enjoying the view from the mountain she has just climbed, Reece Gilmore sees a woman being attacked. But when authorities comb the area, they find nothing - no signs of struggle. No freshly turned earth. Not even a tire track. No one in town seems to believe Reece, except Brody, a gruff loner. 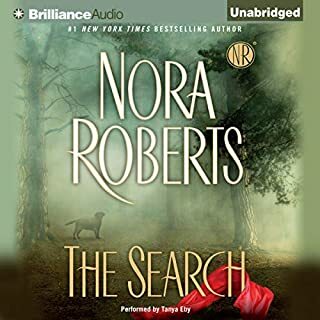 From #1 New York Times-best-selling author Nora Roberts comes a novel of a woman who needs nothing, a man who sees everything, and the web of deceit, greed, and danger that brings them together - and that could tear them apart… As a professional house-sitter and freelance writer, nothing ties Lila Emerson down - not her work, not a home, and definitely not a relationship. She spends her life moving from one job to the next, sometimes crashing at a friend's Manhattan apartment. I didn't want to like it--but couldn't stop! Tory Bodeen grew up in a run-down house where her father ruled with an iron fist and a leather belt—and where her dreams and talents had no room to flourish. Her one escape was her neighbor Hope, whose friendship allowed Tory to be the child she wasn't allowed to be at home. Then Hope was brutally murdered, and everything fell apart. Now, as she returns to Progress with plans to settle in and open a stylish home-design shop, Tory is determined to find a measure of peace and free herself from the haunting visions of the past. Maggie Concannon is a glassmaker whose exquisite works are more than mere objects of beauty: they are reflections of her own true nature. One man has seen the soul in her art, and vows to help this complex woman build a lucrative career. Eve Benedict is the kind of subject who could make any biographer's career. Last of the movie goddesses, she has two Oscars, four ex-husbands, and a legion of lovers, both famous and infamous. Now she is ready to write a tell-all memoir that has even Hollywood's richest and most powerful worried. Julia Summers never dreamed of being chosen to tell Eve's story. Emma McAvoy may have grown up in the limelight, but some secrets are hidden in a darkness no light can reach. Now on the verge of a successful career, and having fallen in love with the man of her dreams, Emma is looking to the future. Yet it’s the past that is about to catch up with her. For Emma, her childhood had been almost like a rags-to-riches fairy tale - until the tragic night that changed her family forever. But what Emma thinks she knows about that terrible night and the man she’s about to marry is only half the truth. Olivia's parents had been one of Hollywood's glittering golden couples...until the night the monster came. The monster who destroyed their beautiful home and took her mother away from her forever. The monster with the face of her father. Now a young woman, Olivia has a chance to confront her tragic past - and the longings of her own lonely heart. But before she can confront her past, she must safeguard her future. Finally out of the celebrity spotlight and away from her mother's demands, Cilla is free to do what she loves: fixing up houses for profit. But her current project is personal. The Shenandoah Valley farm house was once the vacation home of Hollywood luminary Janet Hardy, Cilla's grandmother. When Cilla uncovers a stash of her grandmother's private letters, and begins asking questions about the past, she becomes the target of a crazed killer who's determined to keep family secrets buried no matter what the cost. 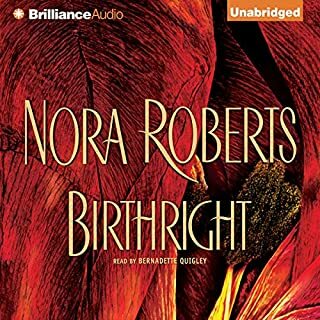 ©2008 Nora Roberts (P)2008 Brilliance Audio, Inc. 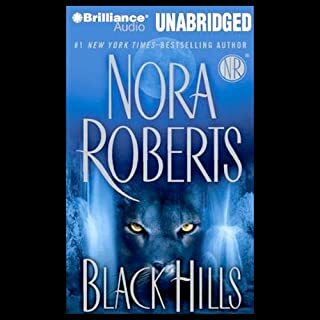 I did not know who Nora Roberts was when I purchased this book. The story sounded interesting to me so I got it. I did take some abuse from my wife and daughter when they found out but it was a good story and I'm secure in my manhood. I will probably read more of her books and I don't care who know it. 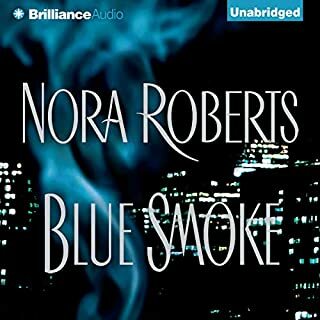 Good story as you would expect from Nora Roberts. I found the narrator to be off putting, took awhile to stop listening to her voice and concentrate on the story. I wont listen to her narrations again. Gotta love the male counterpart in this one. He's considerate, funny, strong willed, patient, and generally adorable. Coming from a male reader, that is saying a lot. The book itself was great, the romance deep, and the mystery was interesting. One of her better books. 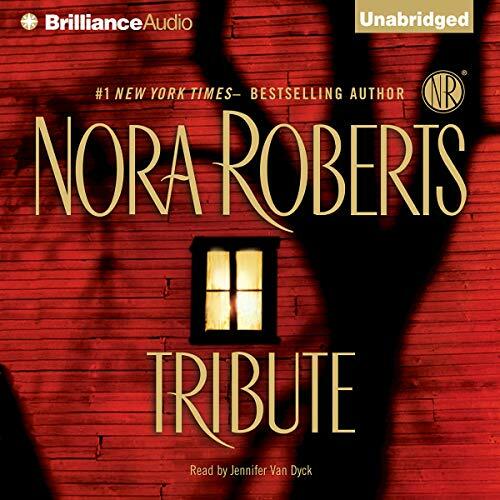 This is a typical Nora Roberts book. I would say if you've read Nora before and enjoyed it, you will know what to expect here, a light story. I would say Nora is probably remodeling her house as there is entirely too much detail on the remodeling in this novel. The thing that completely turned me off on this one is the reader. The reader was TERRIBLE. It probably would have been better for her not to use accents at all as opposed to the ridiculous accents she attempted. The worst part, however, was her poor inflection. I probably would have enjoyed the book more if I had read it myself. The reader absolutely took away from this book. I will be certain to never order another audiobook with this reader. people. I thoroughly enjoyed a story that became a love story and mystery with pervasive undertones, happy togetherness all superbly narrated in a most sensitive and believable manner. A great expierience. Something to just enjoy. 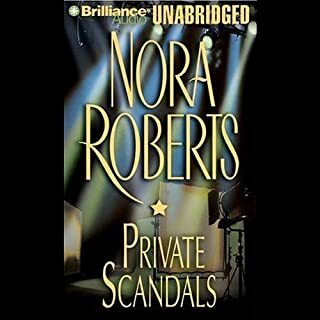 I was glad to see Nora Roberts coming out with a book that was not a part of a trilogy, but this is a very disappointing book. Shallow characters, basic plot, the good guy is all good, etc. I miss the author who wrote Birthright - prolific is only good if the books are good. Might have been better with a male reader. The book itself is a good read the problem is in the narration. The voice was irritating. I think if it would have been read by a male or male/female team it might have been better. The audio was annoying to the point it was difficult to finish. This was disappointing because the actual book was so good. I have read/listened to nearly all NR's books so I am certainly a fan. However, I find "Tribute" is another example of the deterioration in Ms Roberts works. What happened to the quality of "Montana Sky", "Honest Illusions", "True Betrayals" etc? I appreciate that romantic novels are not meant to be taxing on brain power but her books are getting more and more lightweight. Still, the story is OK but far from Ms Roberts' best. The reader was captivating and the story was good enough to make me hope there is a second book. I want to know what happens to the characters as they go through life. Dreadful performance but reasonable story although not up to Nora’ usual standard. Too much building stuff! If you could sum up Tribute in three words, what would they be? What does Jennifer Van Dyck bring to the story that you wouldn’t experience if you had only read the book? Her ability to mimic gentle Southern accents is unprecedented - and she can give specific characteristics to each person in the story. 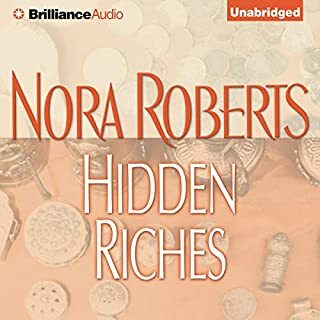 This is the third Nora Roberts I've read and will probably be the last, as her female characters are all beginning to seem the same: dominating, courageous, independent; and her men are all just too good to be true. Her characters needs some human flaws! !